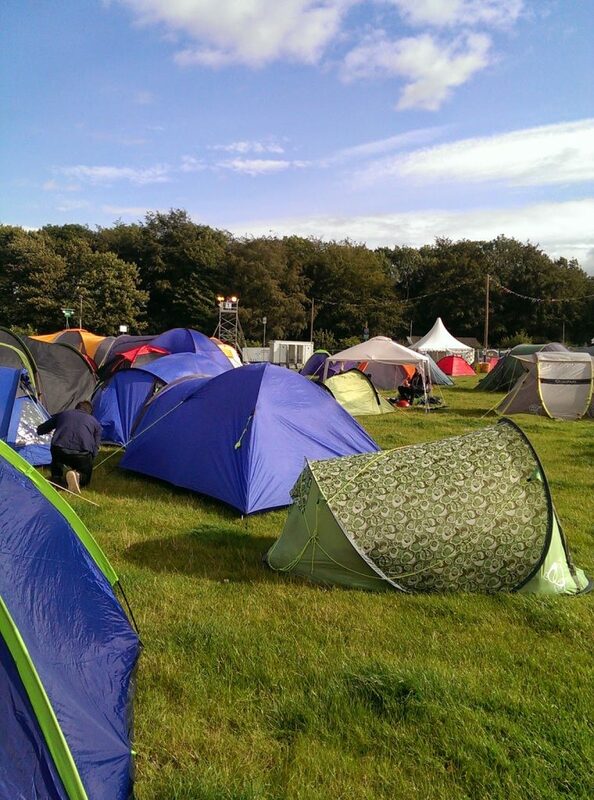 Following on my from previous post about what to pack for Leeds festival, here’s some photos from the actual weekend itself. Terri’s much better at her blogging schedule than I am, and she got her post up weeks ago, with some more photos! As I mentioned in my packing blog post, I didn’t pack much to wear, and I pretty much lived in my Tallulah’s Threads daisy print coord. The weather was so weird that I kept taking my tights and jacket on and off depending on if the sun was out or not! 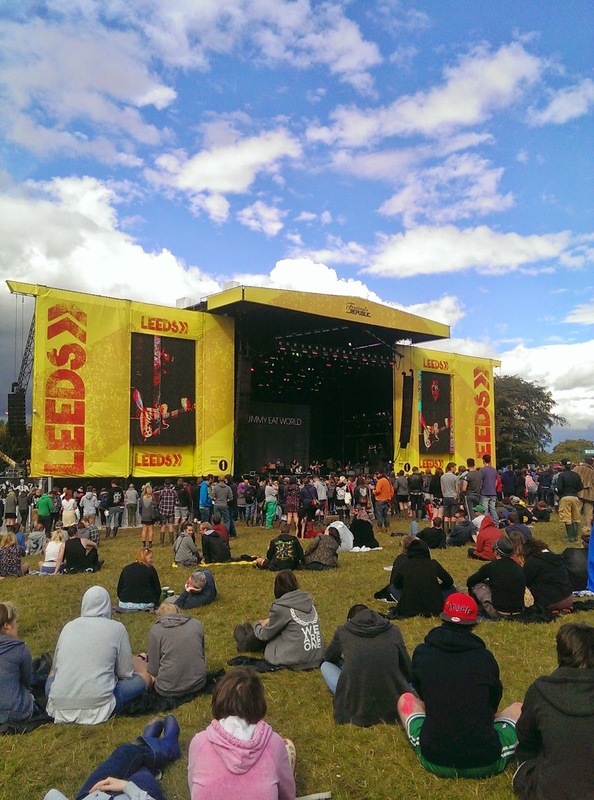 A quick run down of the festival… we managed to see Enter Shikari, Don Broco (my fav! 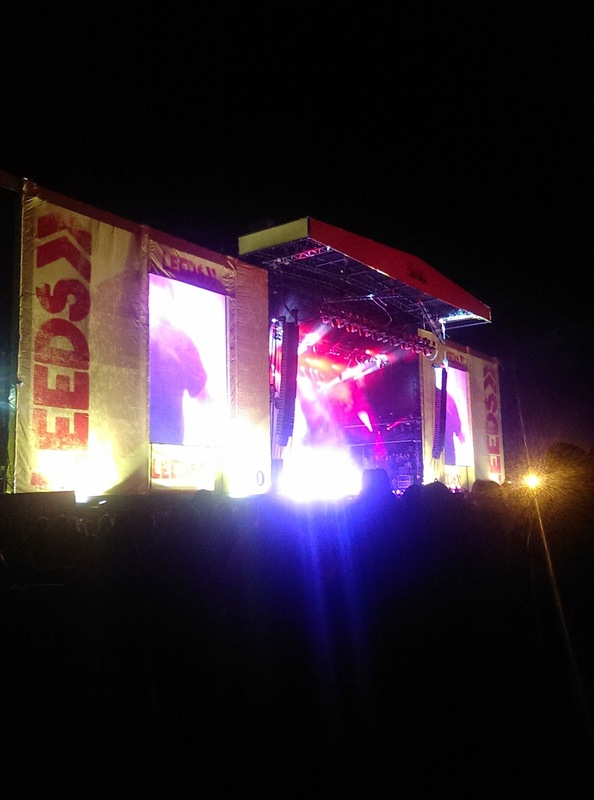 ), You Me at Six, Paramore, Jimmy Eat World, and headliners Blink 182. 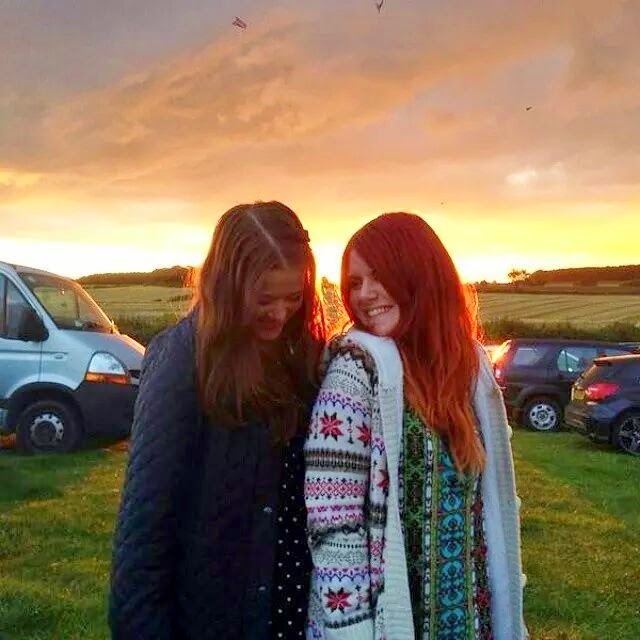 We also did a bit of bartering with the food sellers, I found £5 in the mud, we drank a lot of vodka and cocktail out of a bag, and we danced every night and yet didn’t suffer a single hangover. 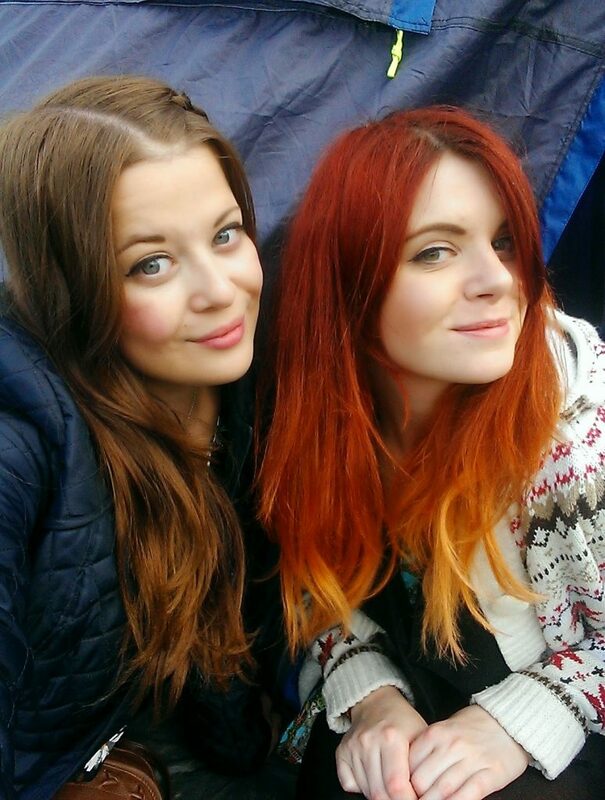 We survived mainly on Pom Bears and Ritz crackers, we managed not to get caked in mud, and we even put up our tent all by our selves in record time. 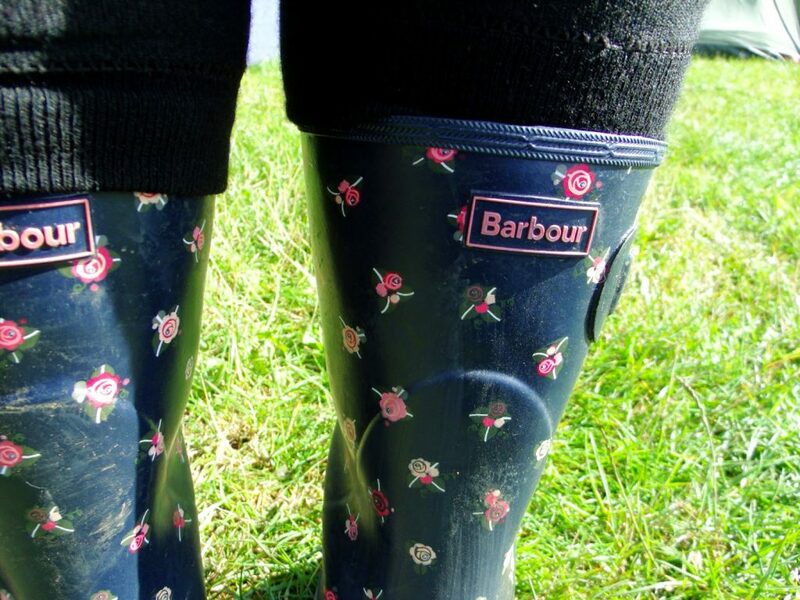 I’ve shown you my floral print Barbour polo top before, and now I have the matching wellies from Cloggs too! 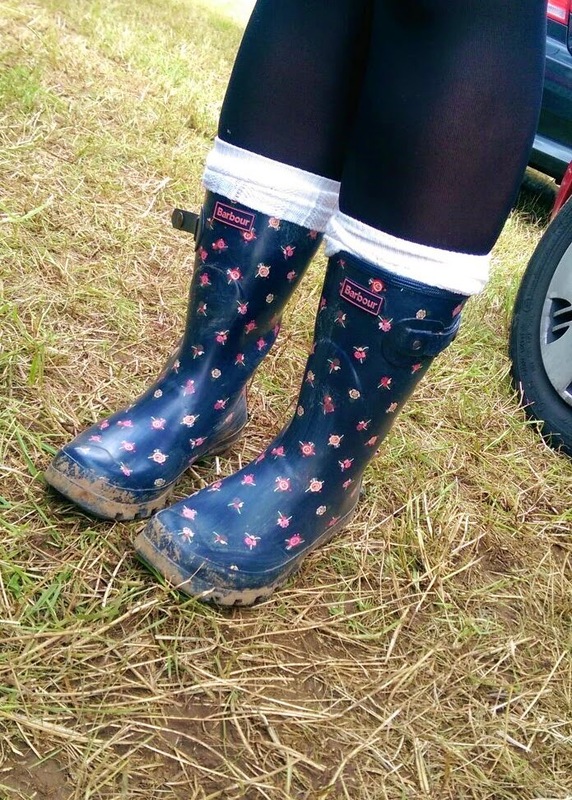 They kindly sent me them just in time for the festival, and I picked them because I prefer shorter wellies (my calves are too fat for tall ones), and I loved the design on them. Cloggs also sent me a cute bird print backpack from Mi-Pac, which I actually used to carry my wellies in as it was the perfect size. Barbour is one of my favourite brands (Liam says he’ll get me a jacket for Christmas! ), and I really like their floral patterned stuff by designer Julie Dodsworth. Because the wellies are shorter, it also makes them easier to take on and off, which is still a bit tricky when you have thick socks on. 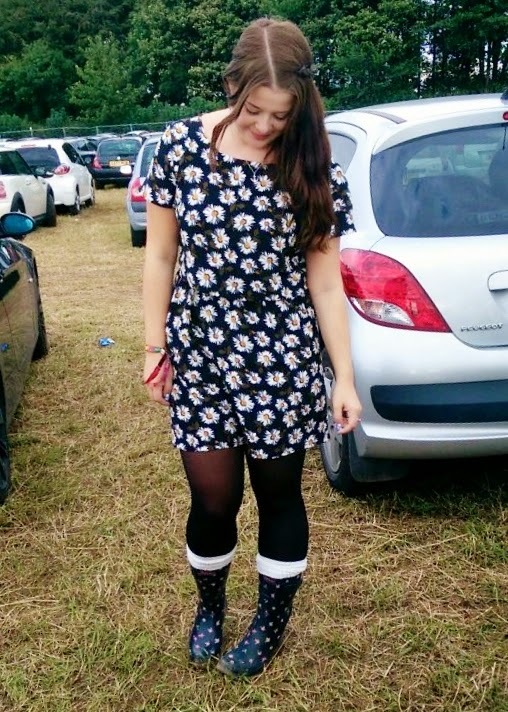 My new favourite outfit, the daisy print coord, which was perfect to wear to the festival. 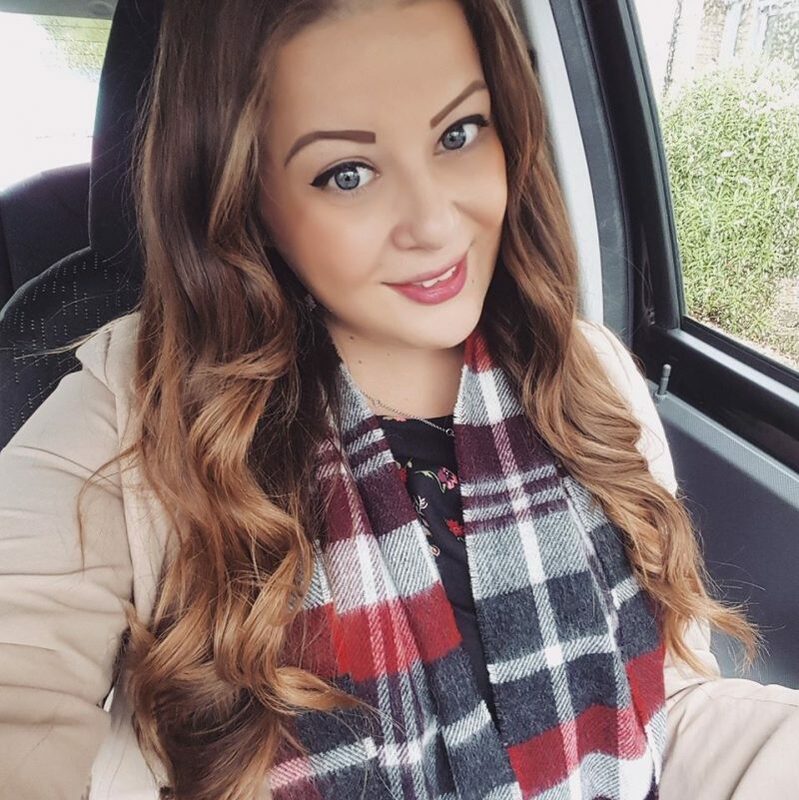 I love this as it was really comfortable to wear and nice and light and loose fitting, which meant it was easy to add layers on top when it got cooler in the evenings. 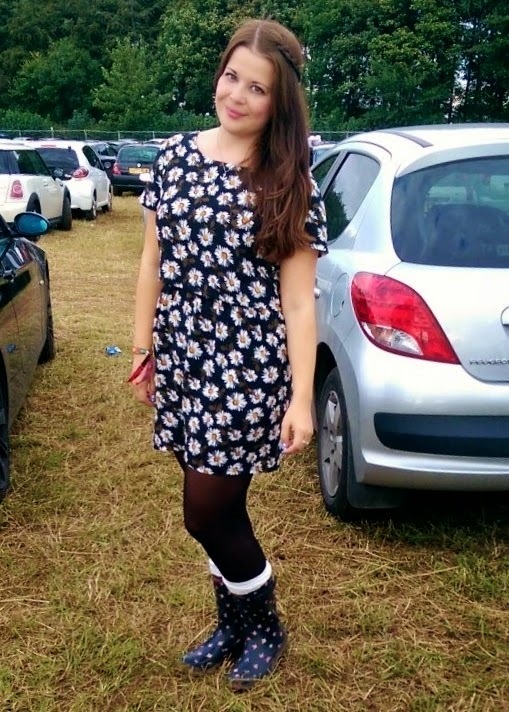 I may have looked a bit flower power mad with floral top, skirt, and wellies though! The quilted jacket I bought from Laura Ashley last year, and it kept me nice and snug and protected from the cold winds! 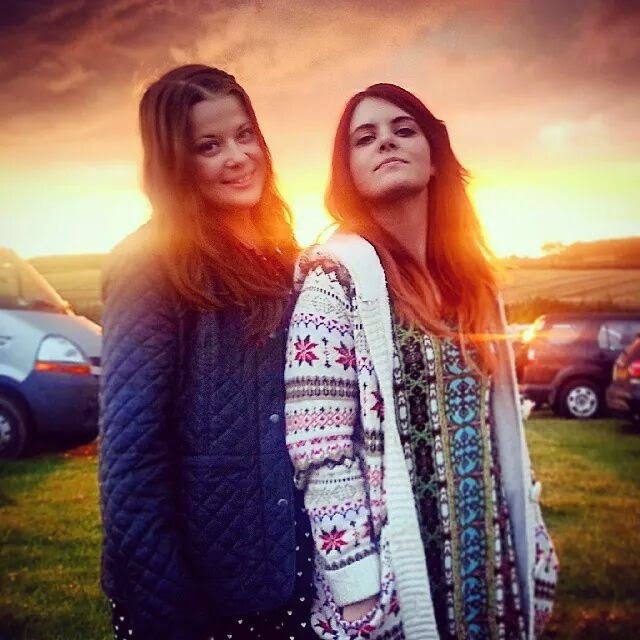 Such lovely outfits – I love the co ord set! 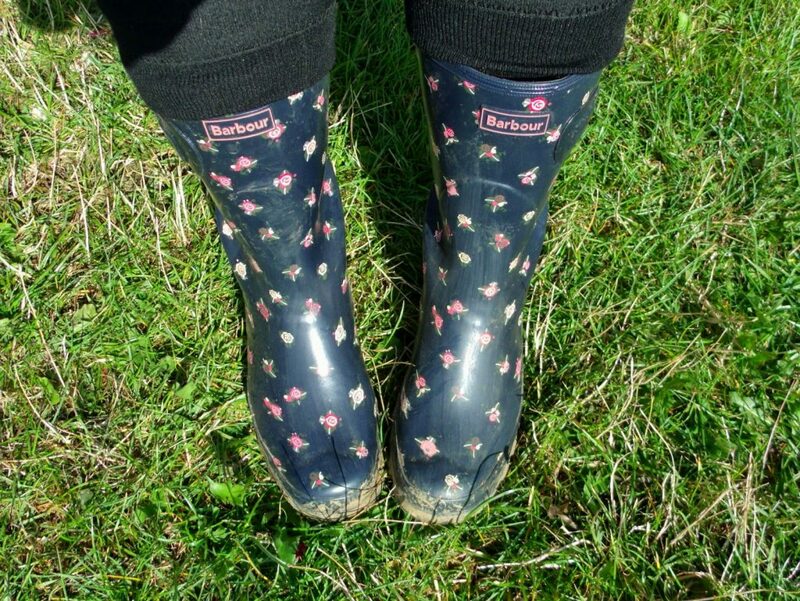 I always find that my calves are too fat for wellies as well, so short ones would be a great option. 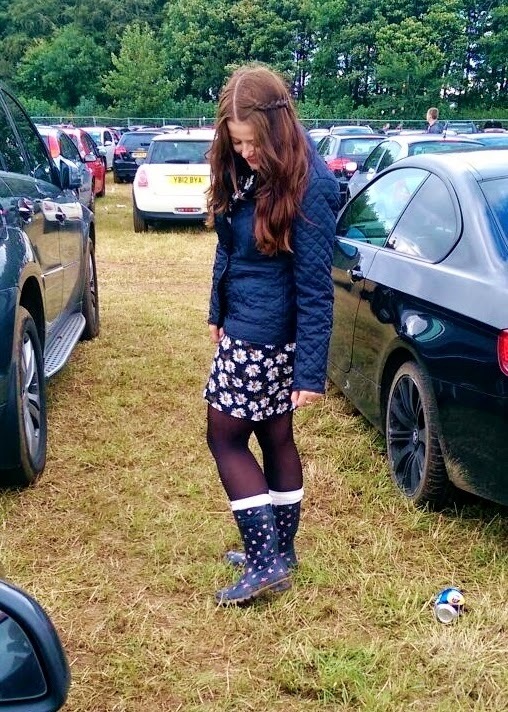 So cute, i love the wellies and your skin looks so perfect!! i see you have a mi-pac backpack! i just ordered one for uni!! are they good quality? I'm loving all of your different floral prints in these outfits, and how you mixed & matched them. So cute! Aw you two look rather cute in the last two photos. 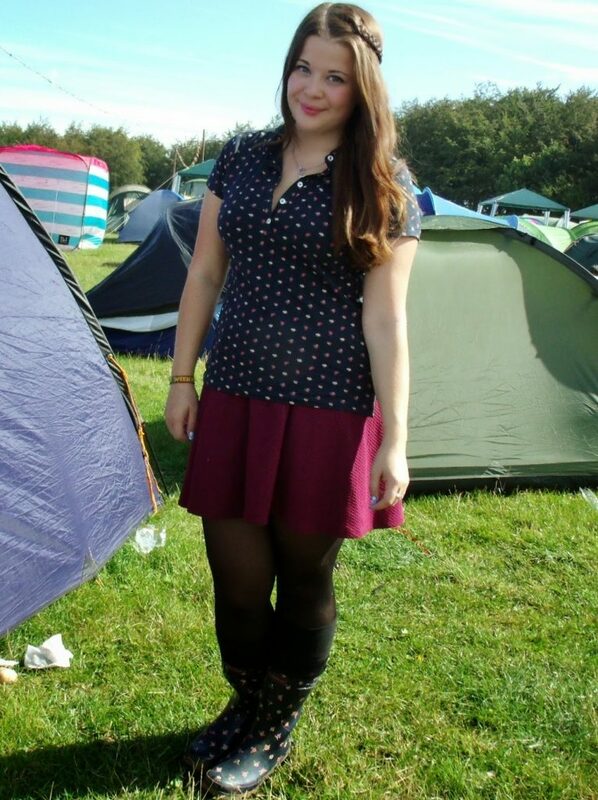 And I love the second outfit, I'd be too scared to wear anything mice at a festival, i'd probs just don a boiler suit. and that clothing she wear is beautiful.